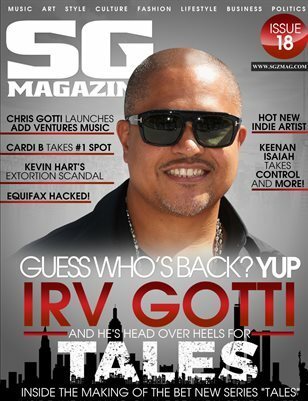 Scrilla Guerillaz Magazine #18 takes you inside the making of BET's new series TALES by Irv Gotti. Expect to read what the cast had to say about the series, the creativity behind the concept and so much more, along with the return of Murder Inc. Model/ dancer "Heaven" talks dating. Hot new indie artist to look out for. New movies coming in 2018, Cardi B hits #1 spot on billboards plus so much more..